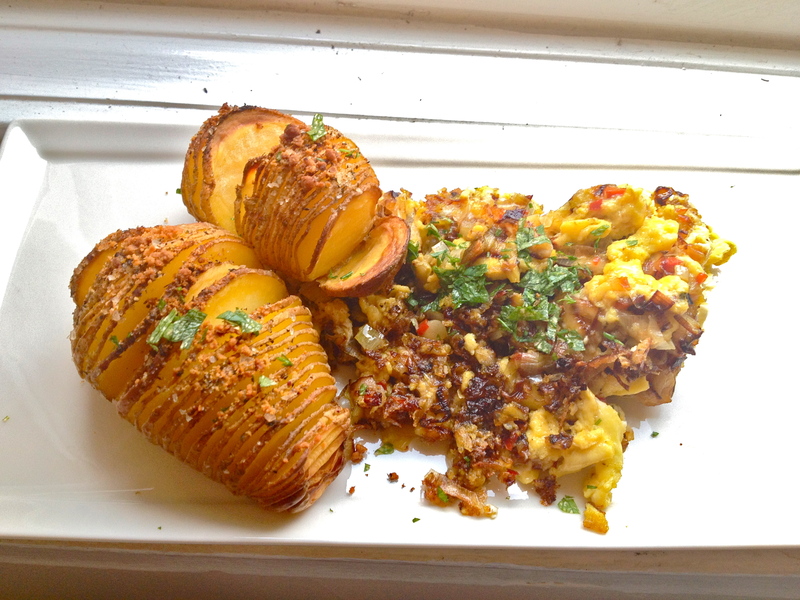 Hasselback Potatoes with Jalapeño Leek Scrambled Eggs. On Sunday morning, I set my friends Jalapeño and Leek up on a blind date. They’ve never met before, but since they’re so great separately, I thought I’d introduce them and see if they had any chemistry. It was a little risky, because they tend to roll in pretty different circles: hot and bold Jalapeño usually hangs out with Onion, while Leek has a more mellow friend in Bell Pepper. But I was hoping to play off a bit of an opposites-attract dynamic to see if this odd couple would get along. And while I’m not sure they’ll be going steady any time soon, it’s safe to say they had a Casablanca moment: I think this is the beginning of a beautiful friendship. 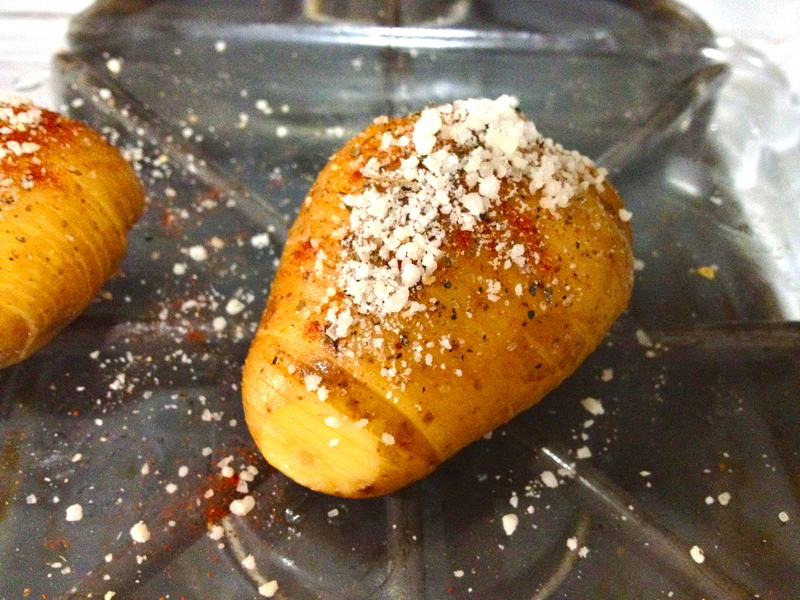 Rub the potatoes with olive oil and sprinkle with paprika, salt, pepper, and parmesan. Bake until browned on the outsides and completely softened on the insides. 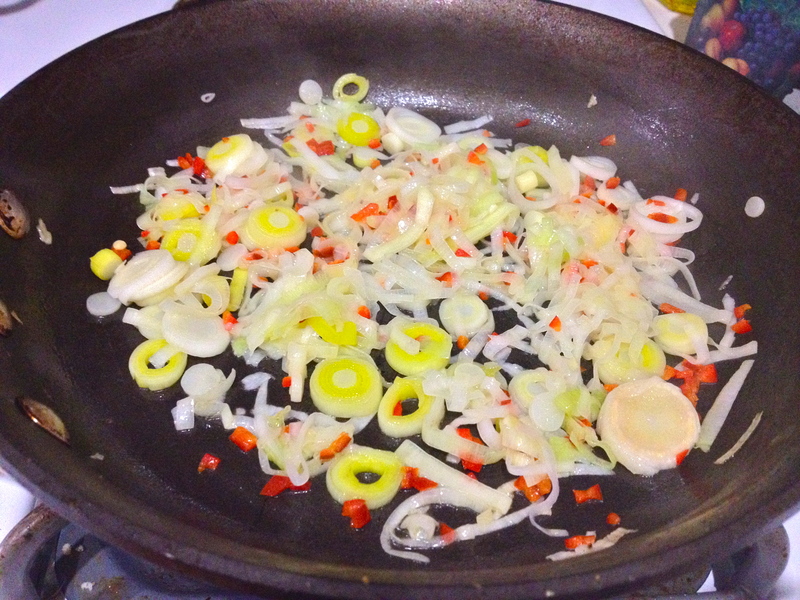 Just before the potatoes are finished cooking, heat a bit of olive oil and a bit of butter in a pan over medium low. Add the leeks, stir, and cook 1 minutes. Then stir in the jalapeño. Cook until softened and just starting to turn a bit golden. Set aside. 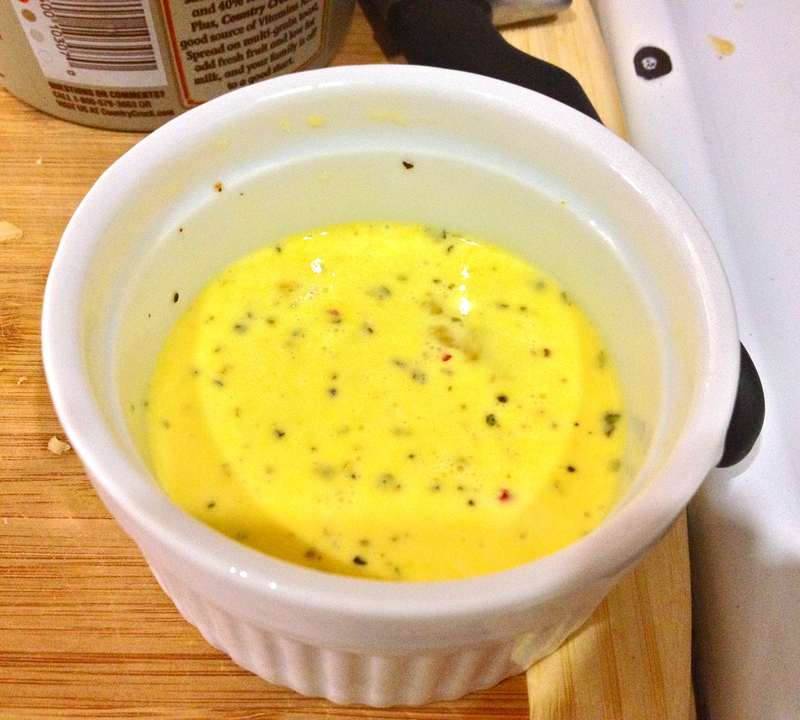 Crack your egg into a ramekin and add cream/half and half/milk and more salt and pepper. Scramble. 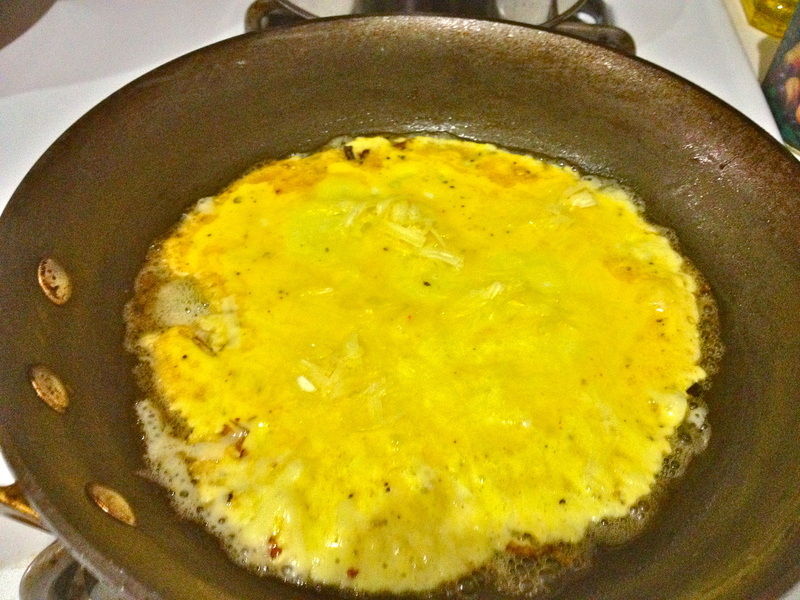 Then add a bit more butter and olive oil to your pan and pour in the egg. Sprinkle over your grated cheese, if you’re using it, and give it about 45 seconds. 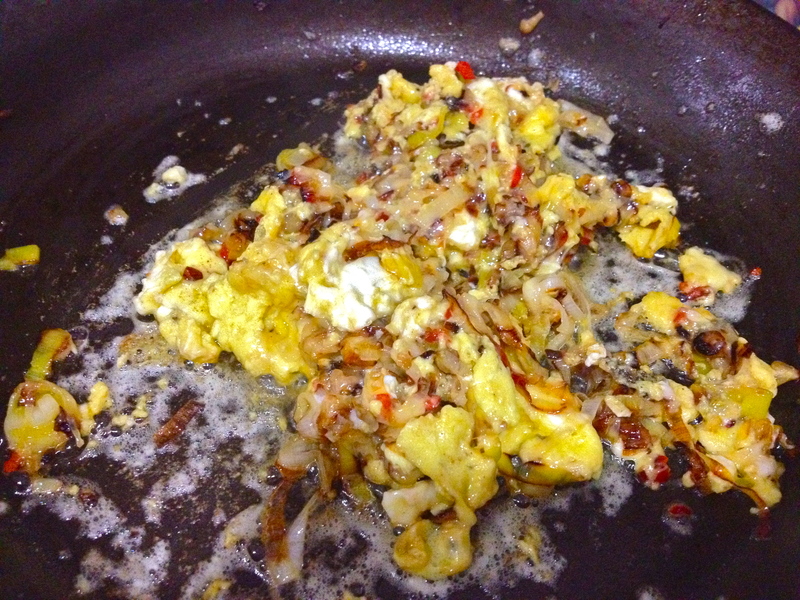 Then add the jalapeño and leeks back to the pan and stir into the eggs. Cook until done. 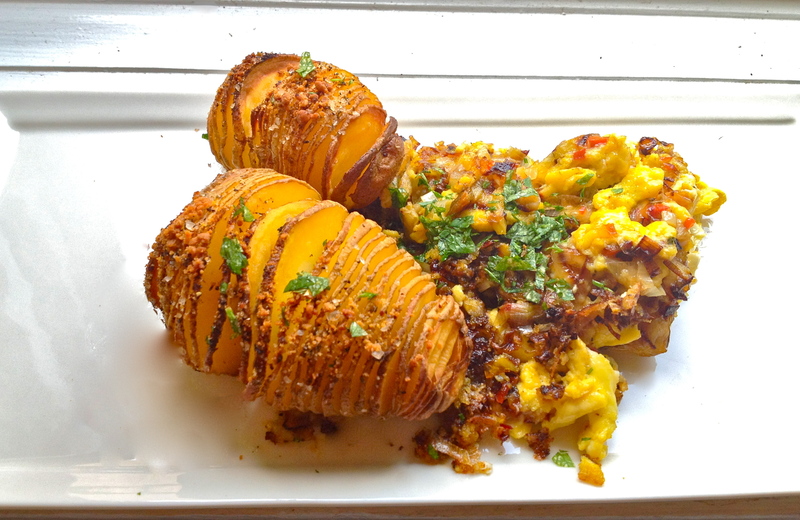 Garnish with parsley and serve! Of all the plates in all the kitchens in all the world, I’m glad this dish walked into on mine. Next Corn and Cilantro Fritters.